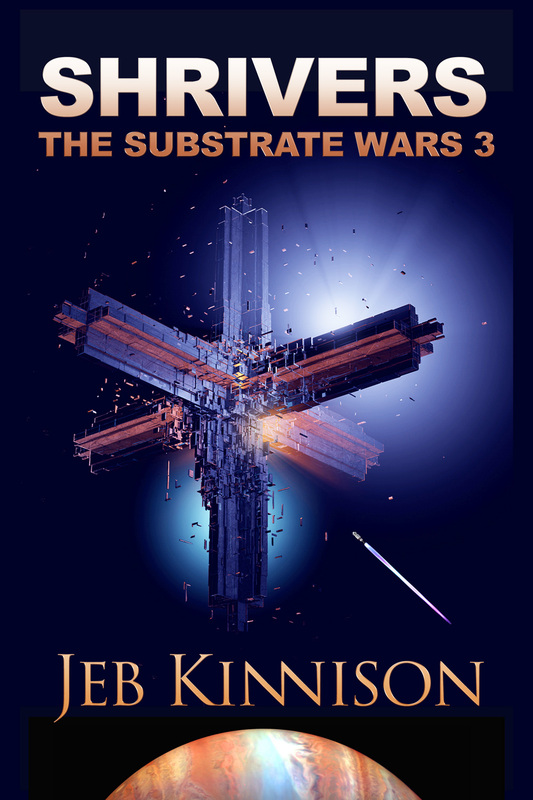 The Kindle versions of Substrate Wars books are on sale until Friday — FREE for Red Queen, $0.99 for Nemo’s World, and $2.99 for the just-released Shrivers. Similar bargains are available in some non-US Amazon sites. Too bad I can’t offer a similar discount on the trade paperbacks, but the bundle of three makes a good gift for your STEM graduate friends or relatives who like thrillers with heroic scientists — c. 1000 pages of fun reading. Posted in Books, Publishing, Science Fiction and tagged nemo's world, nemo's-world-the-substrate-wars, personal freedoms, quantum gateways, quantum transport, red queen: the substrate wars, review, shrivers, shrivers the substrate wars, substrate wars on December 1, 2015 by Jeb Kinnison.